Wooden Mallet’s Cascade™ display racks offer versatility and style in a compact unit. Our unique overlapping design neatly displays and organizes your literature, keeping it tidy and visible in the least amount of space. Cascade™ racks feature furniture quality construction with .75" solid oak sides sealed in a durable state-of-the-art finish. Cascade™ includes wall, floor, countertop and rotating display options. Our unique overlapping design neatly displays and organizes magazines, keeping them tidy and visible in the least amount of space. Magazine pockets are 9" wide by .75" deep and hold standard 8 .5" x 11" magazines and literature. Available wood finishes perfectly compliment Wooden Mallet's Dakota Wave™ reception seating collections. Pocket Dimensions: 9"W x .75"D x 8"H.
This consumer rating is based on 5 reviews of all Wooden Mallet products. 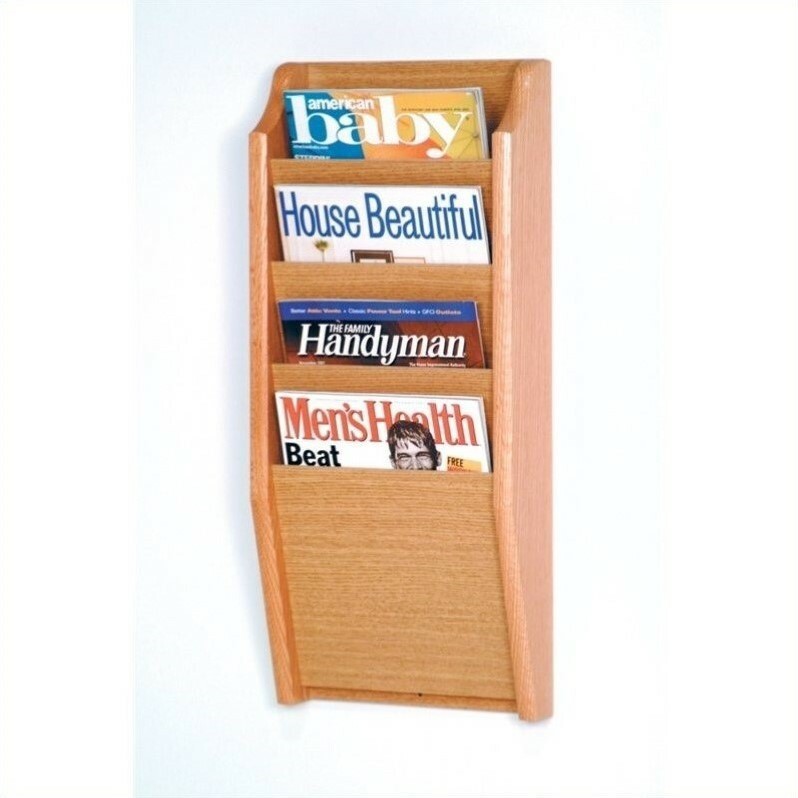 The Wooden Mallet 4 Pocket Magazine Wall Rack in Light Oak has not yet been reviewed, be the first!